So it's now officially winter feeling in California, but I'll just be over here pretending it's still 80 degrees :) I always love the idea of mixing stripes and floral prints, so I did that again here! 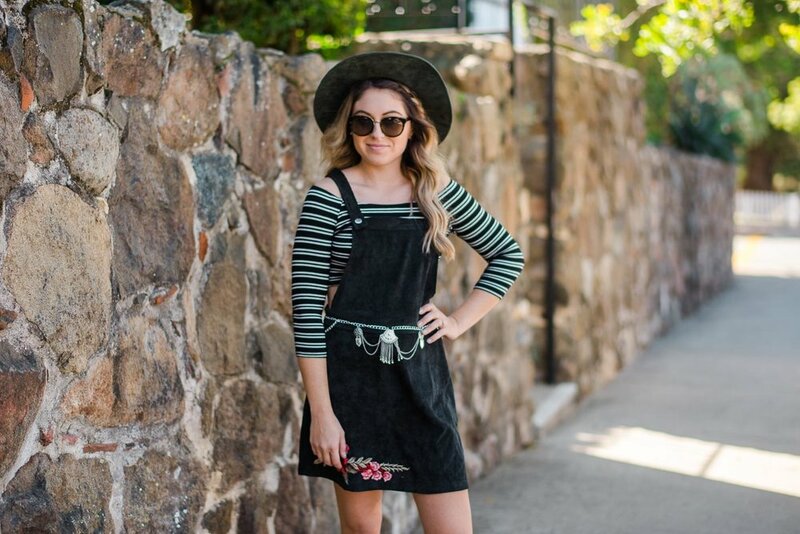 This jumper has an overalls feeling to them, and I always love a good crop top with overalls. So I paired this Forever 21 top with my jumper, which allowed a little bit of skin to show, so the outfit wouldn't feel super boxy. Use my code JNGDN to join Poshmark, and you'll get $5 to use on a purchase! Click here to see our BOHO WEDDING! Click here to the home tour of our house the POFF PAD!